Chess adheres to the Content Policy for Developers and to the Google Play Developer Distribution Agreement. Chess is a non-commercial application. Chess does not have ways to collect your personal data. 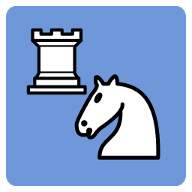 "Play online" uses a direct connection to the Freechess servers.